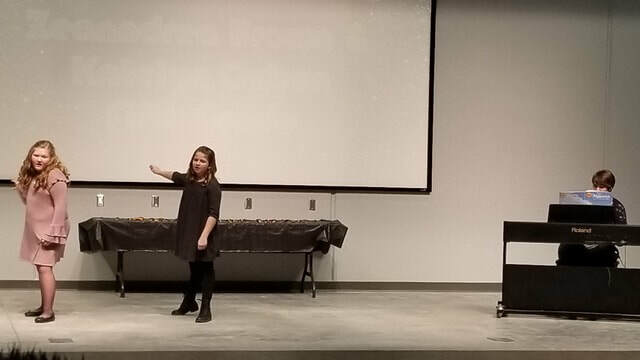 Purdy fifth graders ZeAnndrea Brown (left) and Kate Ozbun (center) perform “How Far I’ll Go”, a vocal duet from Disney’s Moana. The Eagle Songstresses, accompanied by K-6 Music Teacher Christina Harmon (right) on piano, took home the Best All-Around award in the K-5 Division at “Purdy’s Got Talent,” the annual district talent show, held Saturday, February 2nd. 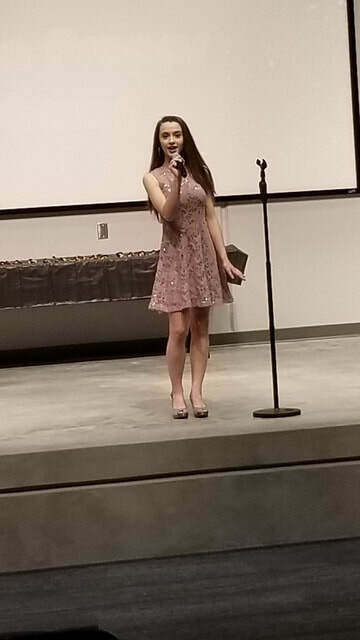 Purdy High School Freshman M’Kena Propps took home her second consecutive Best All-Around award for her vocal rendition of “Dream a Little Dream of Me" in the 6-12 division of “Purdy’s Got Talent,” the annual district talent show.